While PayPal has been less and less relevant, thanks to competitors like Google Checkout and Amazon, they may just stage a comeback with an idea that’s cute and useful at the same time: a bump-triggered iPhone app. 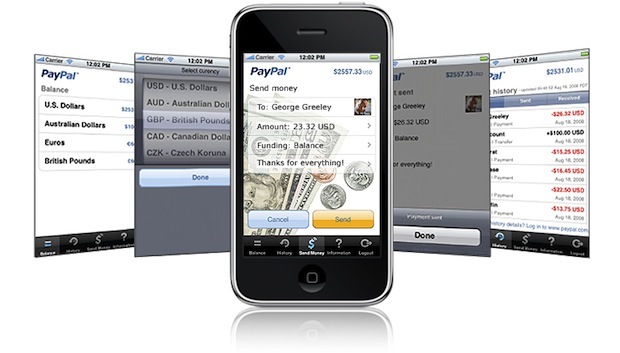 Bump Technologies, the company that makes the Bump iPhone app, provided the underlying tech for PayPal’s newly announced app. But instead of exchanging contact information, now you can exchange money. The app also includes a tax, tip, and check calculating feature, so you can figure out who owes what at a table, then simply bump phones to get all the money to one person, who can then pay a single bill for the entire table, saving the waitstaff at the restaurant the headache of running twelve different credit cards through. The app could, at some point, also be used for very small businesses in place of expensive credit card readers–especially independent sellers like those at a farmers market, craft fair, or adorable lemonade stand. Of course, as not everyone has either an iPhone or a PayPal account, let alone both, this isn’t going to replace credit cards, but could definitely be useful in certain circumstances. The app is available now, for free, in the App Store.